Most Christians use some sort of prayer list as they pray for the salvation of others. If this prayer list were the list of everyone who came in contact with a particular $20 bill, you would obviously have a large and diverse list. This chapter explores the possibilities of this type of prayer. Mary put her hand on the carving fork and began to give George Soper an angry stare. With fierce determination, she lunges at him. Eluding her deadly stabs, Soper works his way toward the door. Having escaped Mary’s attack, Soper decides to bring reinforcements. Accompanied by Dr. Josephine Baker and five police officers, Soper knocks on the door. Again, he is met with a fork. Stepping back to avoid the attack, Soper stumbles into the policemen. Surprisingly, during the distraction, Mary "disappears." After five hours of searching a couple houses, the police find her hiding in a little cubbyhole. Apparently, the servants in the neighbor’s house helped her hide. Upon her discovery, Mary came out swearing and fighting. 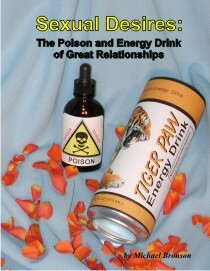 Soper said, "It was like being in a cage with an angry lion." New York and America owes a great deal to George Soper. It was some brilliant detective work that led Soper to his discovery. He had found a common link to many illnesses and deaths throughout New York. This common link was a healthy cook named Mary Mallon. From 1900 to 1907, Mallon drifted from job to job, working as a cook. She would only work for a couple of weeks before she would move on. Soper discovered there were 28 different outbreaks at houses in which Mallon had worked. He also found she would suspiciously leave shortly after each outbreak. 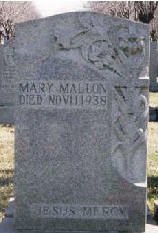 Mary Mallon, an Irish immigrant, became known as "Typhoid Mary." What made Mallon so unique and dangerous was the fact she was a "healthy carrier." This meant she didn’t have any of the symptoms of typhoid, but was able to pass on the deadly disease. As a result, no one suspected she was carrying typhoid from city to city. Initially, of course, Mallon was unaware she was transmitting the disease. However, at some point she started to suspect some type of connection. When Mallon was told of her carrier status, she refused to believe a healthy person could be a carrier. After two years of isolation she was set free and told never to prepare food again. Although she was instructed to report regularly to the Heath Department, Mallon disappeared, changed her name, and started preparing food again. Tragically, this disobedience led to more deaths. The outbreak that led to her apprehension infected 25 people, killing two. Just as Typhoid Mary’s exposure caused great suffering and death, there is another type of exposure that can bring joy and life. It is called "exposure prayer." This prayer targets people who are exposed to a particular item. Money is well suited for this type of prayer. For example, let’s say you go to McDonalds and order a meal that costs around six dollars. When you get your meal, you pay for it with a $10 bill. That bill will eventually be passed on to someone else, who in turn, will pass it on to someone else. This bill could change hands several thousand times before it is eventually taken out of circulation. If you think about it, a list could be made of everyone who has ever touched (or will touch) that bill. This list could then be used as a prayer list. Obviously, a list like this will never be created, but you can still pray for everyone who would be on this list. God knows who these people are; He knows their names. All we have to do is simply pray for everyone who will ever come in contact with that bill. A convenient time to make this prayer is when you take the money out of your wallet. You can also make the same type of prayer as you receive the change. This is an efficient use of your time since your mind usually isn’t busy during this time. Can you imagine what would happen if all Christians made these prayers every time they purchased something? Just like with Rainbow Prayer and Prayer Evangelism, you can reach a large variety of people in a variety of locations. Of course, the more often you pray for each situation, the more impact you will have on it. As I mentioned before in other chapters, prayer is a supplement, not a substitute for witnessing. When I make these prayers, I pray that every one of these people will become strong, dynamic Christians. I ask God to raise fervent prayer warriors for each of them. I ask God to bring strong Christians into their lives and give them a clear presentation of the gospel. A few months ago an Islamic friend of mine gave me some currency from Bangladesh (Taka) and India (Rupee). I have them sitting on my dresser. I pray for these bills (i.e. everyone who has touched these bills) several times a day. I would appreciate it if everyone who reads this chapter would make a one-time prayer for the people who have been in contact with these bills. You might want to consider starting your own foreign mission outreach using exposure prayer. 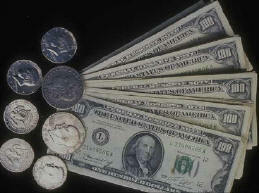 Most people have some foreign currency that they can use for this. Even if you don’t, you can usually find some fairly easily. I want to emphasize again, this should never be considered a substitute for other foreign missionary outreaches. This should be just one of several activities you are involved in to bring Christ to a lost world.